"The Data Plugin and the Word Plugin are important components of our Servoy solutions." "The Plugins can be used immediately with the included examples and without much learning." "IT2BE components are an essential tool kit for any Servoy developer." "They are comprehensive, well produced with excellent documentation, example solutions and outstanding support." 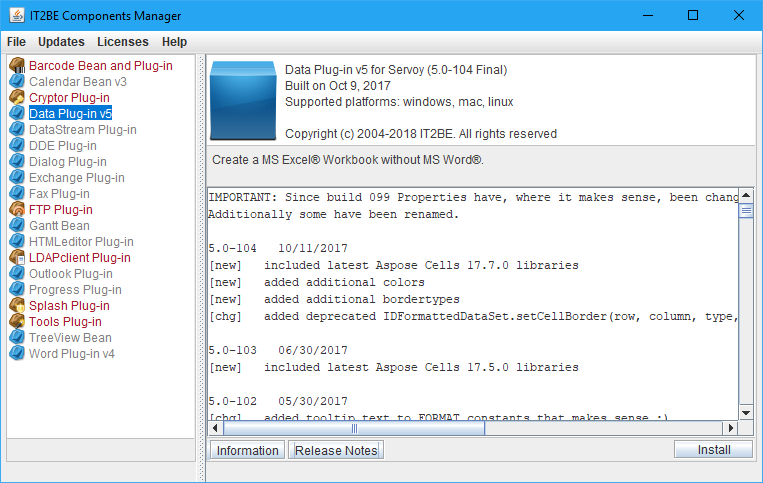 "Without the IT2BE Word plugin I believe our application would have required at least another 12 months of development effort." Additional API’s available to your apps (Smart/Web/ngClient). Adaptable UI’s and API’s for your Smart Client apps. Adaptable UI and client-side API’s for your ngClient apps. © 2019 iTech Professionals, Inc. All Rights Reserved.